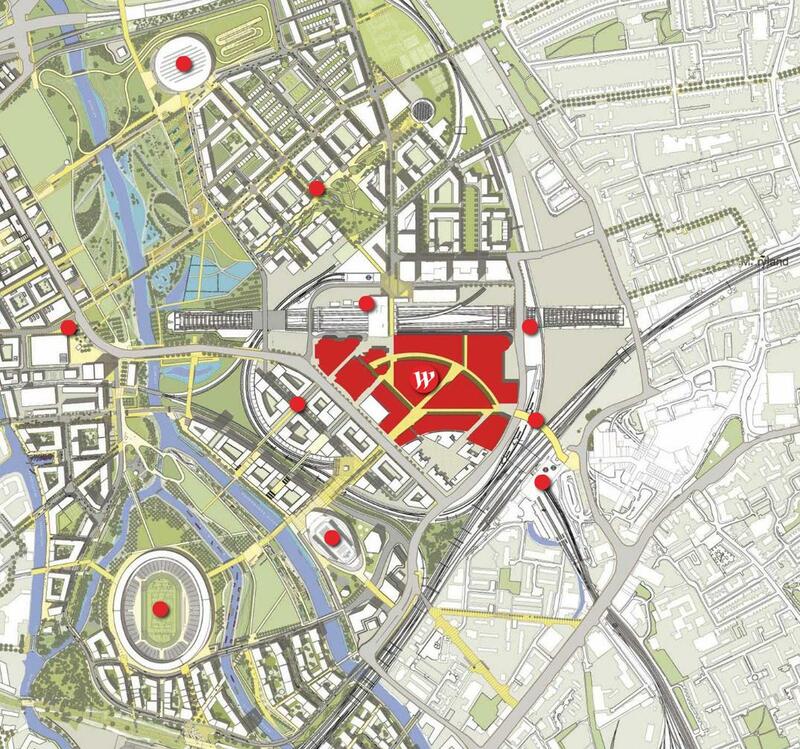 Stratford City and the London Olympic Park together form a 700-acre development. 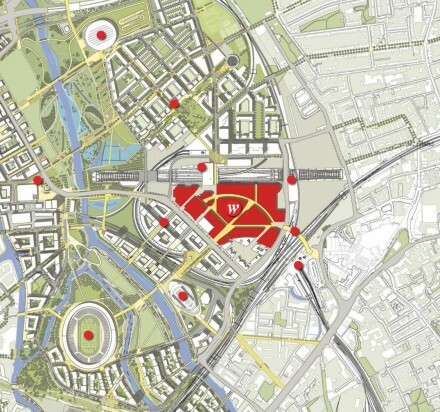 Westfield Stratford City will be a core component of East London’s Olympic legacy, permanently situated next to the largest urban park created in Europe for over 150 years. To celebrate East London’s creative spirit, Westfield Stratford City has launched Studio East, a cultural initiative to identify and support emerging talent. 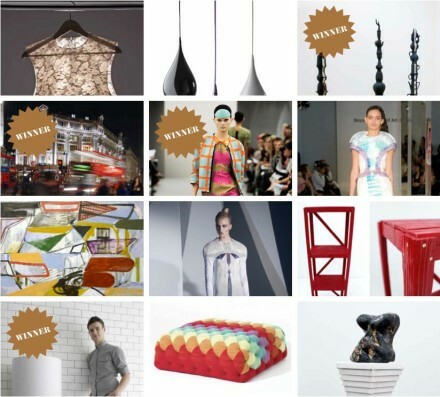 Studio East will grant the next generation of creative innovators access to their industry’s leading lights, and award a series of high profile commissions which will be embedded in the actual fabric of Westfield Stratford City, the prestigious gateway to London’s Olympic Park. 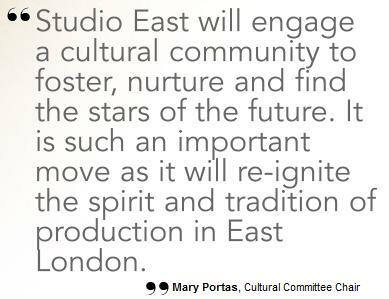 The commission process will be presided over by Studio East’s Cultural Committee; an incredible collective of London’s most acclaimed talent and opinion formers. The Cultural Committee will shortlist undiscovered talent from East London’s rich creative pool, before handpicking the most visionary to be awarded a ten thousand pound commission. 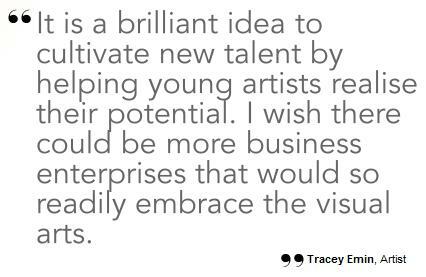 Mentored by the Cultural Committee, the talent will also work directly with Westfield’s internal teams to bring their commissions to life. Critically, the talent will benefit not only from expert and commercial support, but also an unprecedented level of exposure to industry opinion formers and over 20 million customers when Westfield Stratford City opens in 2011. 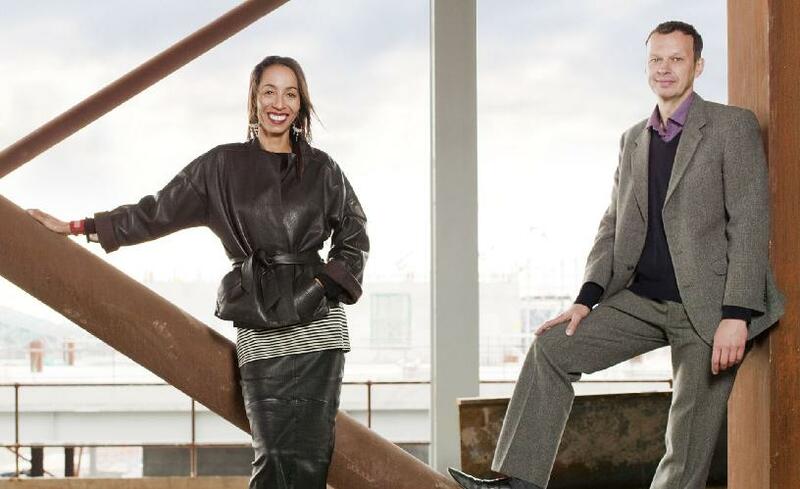 Eminent British designer Tom Dixon and Elle Decoration editor Michelle Ogundehin are shortlisting talent for a product design commission which will play an integral part in the Westfield Stratford City shopping experience. The commission for pendant lighting will help to create a striking environment for over 20 million customers a year. Having been mentored by Tom and Michelle, the talent will gain exposure working with Westfield’s design and procurement teams and be given significant access to industry opinion formers as their product is unveiled when the centre opens in 2011. Renowned British artist Tracey Emin and Wallpaper editor Tony Chambers are shortlisting talent for an iconic art commission that will utilise Westfield Stratford City as its canvas. 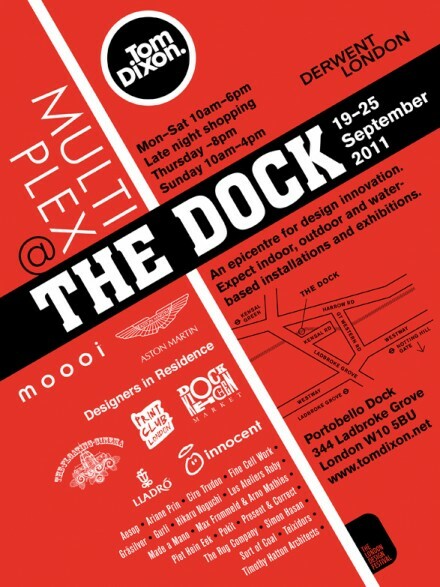 This commission will become ingrained in the fabric of the development when it opens in 2011. 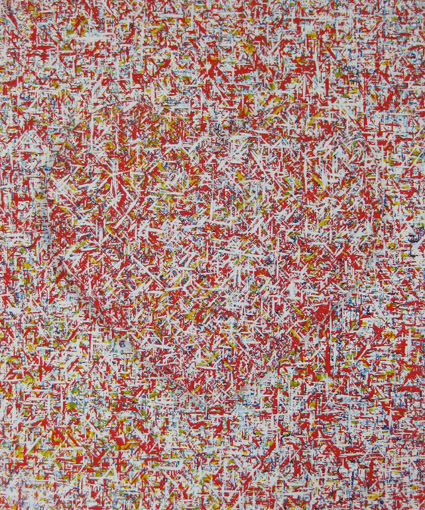 The talent will gain experience of working with Westfield’s commercial procurement and construction teams as the artwork is installed during the build of the site. 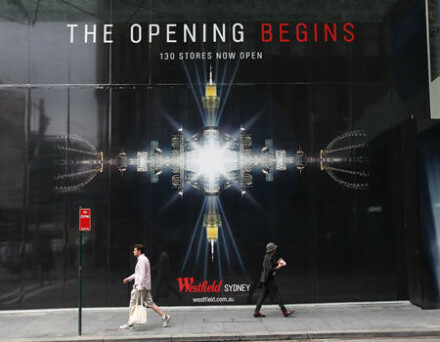 The talent will also go onto receive unprecedented exposure when Westfield opens its doors in 2011 with over 20 million people likely to view the artwork in its opening year. 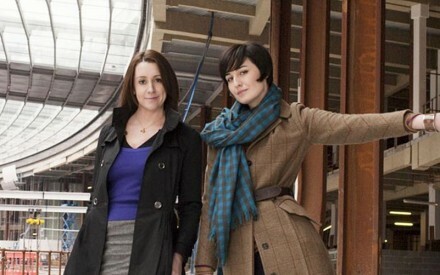 Supermodel and environmental campaigner, Erin O’Connor and Observer columnist and One-Show presenter, Lucy Siegle are shortlisting talent for a commission which will celebrate the environmental credentials of Westfield Stratford City. Westfield has been designed to achieve excellence in environmental sustainability, with some of the most stringent guidelines imposed on its construction and operational management. The talent will develop energy saving solutions for the development and will benefit from working with Westfield’s design, procurement and environmental teams as well as gaining exposure to environmental and sustainability and sustainability journalists. 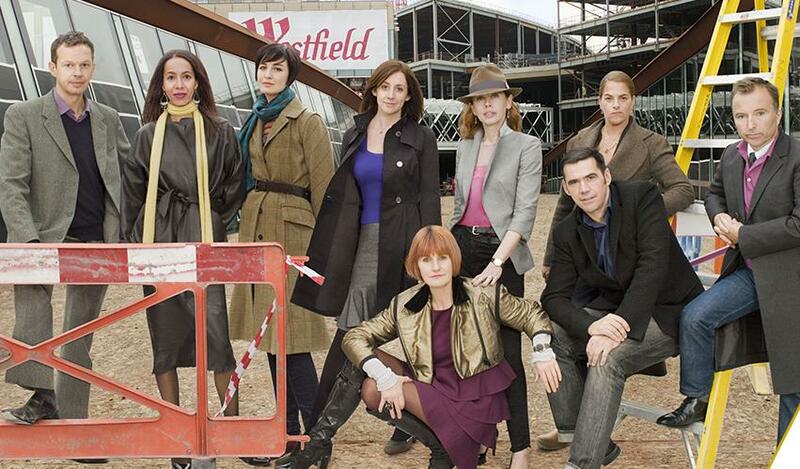 Internationally acclaimed fashion designer Roland Mouret and fashion editor of The Times Lisa Armstrong are shortlisting talent to design the uniforms for Westfield Stratford City’s concierge staff. This commission will play an important part in upholding Westfield’s industry leading, high quality customer service and attention to detail. 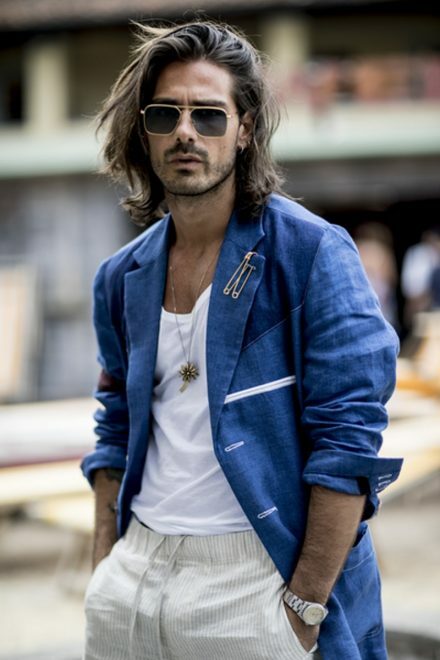 As well as benefitting from valuable mentoring sessions with Roland and Lisa, the commissioned fashion designer will gain experience working with Westfield’s manufacturing teams as well as gaining exposure to key fashion journalists when Westfield opens its doors in 2011. Leading figures from the worlds of fashion, art, design and retail were among scores of VIPs in attendance at the joint launch of art initiative Studio East and rooftop restaurant Bistrotheque on the site of Westfield Stratford City in east London last night. 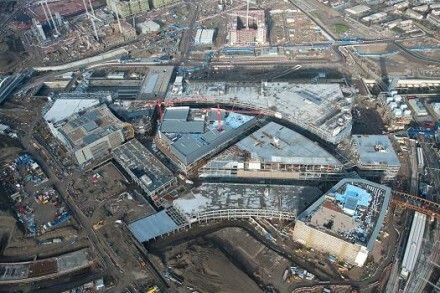 The huge three-storey retail mall – which will be the largest shopping centre in Europe when it opens late 2011 – set up the Studio East initiative to provide bursaries for a series of artistic commissions that have been selected by a panel of experts to be incorporated into the new development. Panel members Tracey Emin, Erin O’Conner, Tom Dixon, Roland Mouret and Mary Portas were the hosts of the evening, which began with a drinks reception at Searcy’s Champagne bar in King’s Cross St Pancras train station. Then, guests – including Antony Gormley, Henry Holland and Pam Hogg – were ushered onto a fast train to Stratford International and guided through the under-construction Westfield Stratford City to reach temporary rooftop restaurant Bistrotheque. 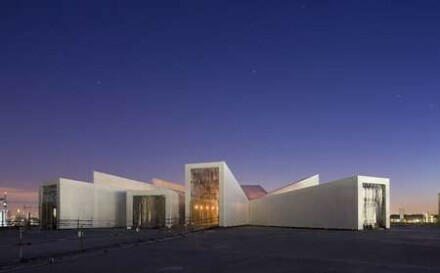 The stunning restaurant – which will be open to the public for just three weeks – offers panoramic views of the London skyline as well as overlooking the new Olympic site. The food is equally impressive, with fresh ingredients craned onto the rooftops every day and a specially-designed cocktail list. 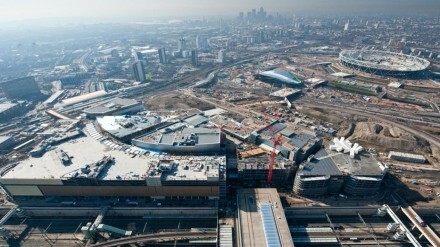 Westfield Stratford City will create a major new metropolitan centre for East London. A contemporary fusion of indoor and outdoor environments, it will provide a unique sense of place joining two major rail interchanges. An imposing 24-hour lifestyle street acts as the central spine to the whole development linking John Lewis at one end with Marks & Spencer at the other. The street is flanked on the northern side by a three-storey shopping centre, playing host to independent operators and fresh food specialists in modern boutique-style shops contrasting with two distinct building styles on the south side, housing striking, sleek fashion stores and edgy urban brands. Mirroring the pedestrianised street is another key circulatory route, the northern arcade; a 3-storey gently curving space with the proportion of Milan’s famous Galleria, connecting the two transportation hubs of Stratford Regional Station and Stratford International Station, as well as the two major anchor stores of John Lewis and Marks & Spencer. At 1.9 million sq ft Westfield Stratford City will be the largest urban shopping centre in Europe and the prestigious gateway to London’s Olympic Park. An innovative fusion of different brands, experiences and formats will grace the magnificent three-level mall and a beautifully designed lifestyle street. 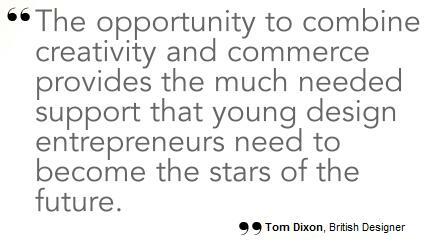 Art and culture will be integral to the experience; from the striking architecture of individual retail districts, to new retail concepts, cultural collaborations, events and installations that will enhance this next generation of retail space. Westfield Stratford City is set to transform London’s retail landscape and provides the ultimate opportunity for the world’s most stimulating and interesting brands. Occupying the sixth floor of London’s Midcity development, Westfield’s European headquarters wraps around the building’s ten-storey, glass atrium. 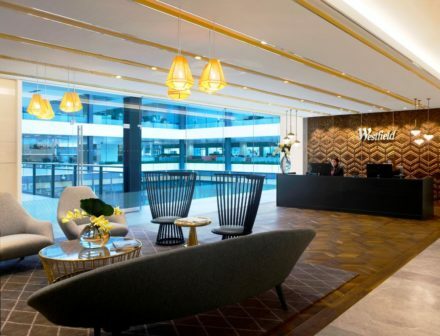 As well as the interiors of the workplace, Woods Bagot created a distinctive identity for the office that is recognisable from any part of the building and also ties into the Westfield brand. 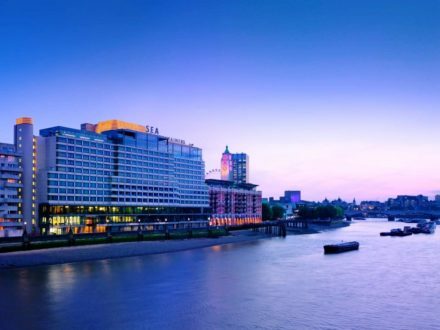 Sea Containers House has now become the location for the new 359-bed luxury hotel under Morgans Hotel Group’s Mondrian brand. 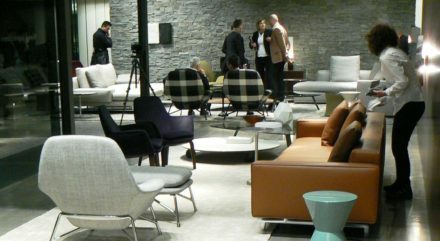 At the 47th anniversary of NeoCon, the annual contract industry trade show which took place in Chicago June 15th to 17th, Knoll demonstrated a range of adaptable furniture solutions that support technology and its dynamic role in connecting people in and across workplaces. 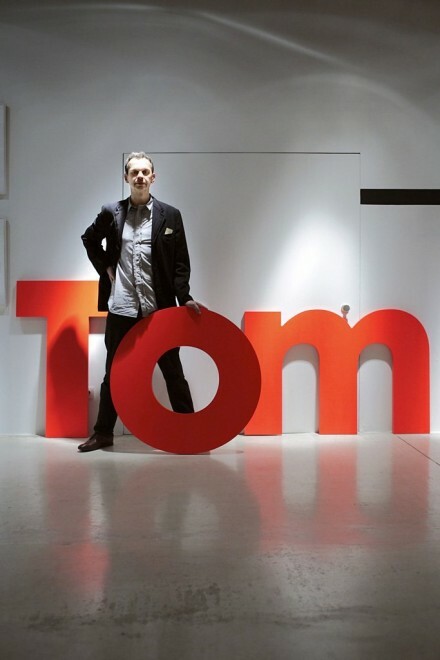 Knoll’s theme for NeoCon 2015 was the “Office Network” which crystallized the relationship between the evolving role of social networks in the workplace and the technology networks and on-demand power and data access that enable them. 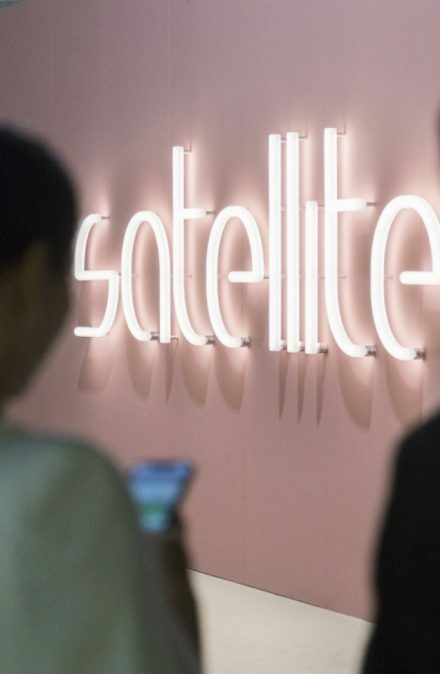 Salone Satellite ( now in its 10th edition ) was the first event to focus on young designers, instantly becoming the unrivalled place for interface with manufacturers, talent scouts and the most promising young designers, and since 1998 runs again concurrently with the Salone. Its creation was essentially a declaration of faith in the creative potential of designers under 35.